Start taking classes at Physique 57 and other studios! HOW IT WORKS: F.I.T. is Focused Interval Training, designed to target and trim your arms and glutes. In one seamless sequence using weights, a playground ball, and your own body weight as resistance, you will create lean sculpted muscle, rev up your metabolic rate, and feel a sense of accomplishment after each rep. WHO IT’S DESIGNED FOR: Anyone looking for quick results and a challenging workout that will meet you wherever you are on your fitness journey. We recommend clients take at least four Physique Beginner classes before taking F.I.T., no dance experience necessary. BARRE TIPS: At Physique 57 we work out on a carpet which allows you to go deeper and max out all of our movements. Full coverage socks are all you need! 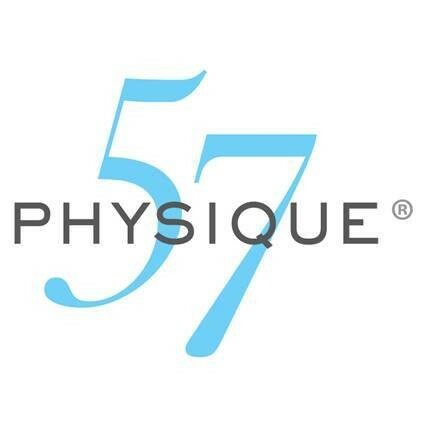 Physique 57 is a barre workout that combines cardio, strength training and stretching to strengthen and tone your entire body. There are no upcoming “F.I.T. (Focused Interval Training)” classes on this day. Please note that first time students must arrive at the studio at least 15 minutes prior to class start time. First time clients are not permitted into class once it starts. You must wear closed-toe full coverage socks in the studio during class; no shoes or bare feet are permitted. Grippy socks are available for purchase. Our studio is located at 24 W 57th St on the 8th floor of the New York Gallery Building between 5th and 6th Aves. Love the class but stretching time is def not enough - the instructor gave like 3 seconds for each muscle group. Prob bc the class ran longer than expected. Amazing class, Erin is great! Sarah is hilarious and makes working out so much fun!